Join us as we build a team of integrative medical professionals for A New Kind of Care. Launching in Spring 2018, Next Practice care of GenBiome is an integrative medical practice based in Edgecliff, Sydney with a focus on chronic disease management and prevention through optimising gut microbiome and brain health. We provide healthcare via a broad and integrative approach underpinned by understanding patients’ neurophysiology (brain) and biochemistry (body). This allows a personalised approach to address the complexities of stresses within metabolic function and performance. We apply the cutting edge knowledge of genetics, epigenetics, microbiome and mitochondrial science to help patients understand the pieces of the health puzzle. We are looking for Integrative Medical Practitioners who are passionate about improving patients’ health with guidance on nutrition and lifestyle to influence biology and behaviour. The practitioner would assess the gastrointestinal and microbiome function with clinical testing and correct dysfunctions with established practices of nutritional and environmental medicine with the support of Patient Advocates and other allied health practitioners. 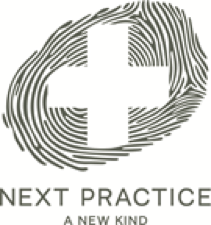 Next Practice care of GenBiome is built-for-purpose to provide A New Kind of Support to the patients and the practitioners caring for them. Our staff and in particular our Patient Advocates will assist you for the intake process, the patient education, regular follow-up sessions for better outcomes, the coordination of the programs of care with other practitioners and labs. The practitioners will work as one team under the leadership of Dr Christabelle Yeoh with daily morning meetings to review patient cases. They have the opportunity to take part to monthly functional forums with a wider community of practitioners, attend and speak at conferences, and benefit from the Next Practice state-of-the-art technology and Practitioner Support Group. As a team we aim to leave a lasting impression on our patients’ health and guide them through to achieving better health outcomes. We also support those in need in through our Care for Care program. For every consult a vaccination is provided to someone in need in the developing world. If you are a dedicated integrative medical practitioner, excited about the future of healthcare join us to help bring that future into the present. You can also contact Nicolas Faust on 0451 415 680 for an initial discussion.